Q1: Are you a manufacturer or trading company9 A1: We are a factory. Q3: Can i get a sample before mass prodction9 A3: Yes. If the price workable , the sample can be arranged for you check. we offer you professional service in fluent english. can be customized according to customers' requestment. 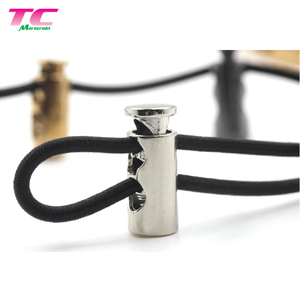 product name customized variety garment accessory drawstring cord lock metal stopper item no. sample free samples if freight cost provided. 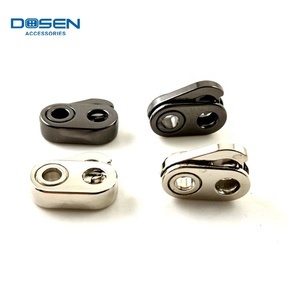 Q:What&rsquo;s your main products 9 A:Our main products include plastic and metal snap button , button , stopper , bell , buckle , hand press , tag pin , tag gun , label , zipper and so on , include over 300,000 kinds of products , metal and plastic accessories. Q:What is the MOQ 9 A:For plastic products , the MOQ is about USD200 ( EXW price ) /item/color , for metal products , the MOQ is depens on item/color , if the order quantity not reach MOQ , we need to collect small order fee or making color fee. Q:What is your delivery time 9 A:For plastic products , our usual production time is 14days , for metal products , our usual production time is about 20days , also according to the quantity and color of the products you need . Quzhou Xinhui Plastic Fittings Co., Ltd.
Sizes Standard sizes are 8mm to 25mm. Shapes Cylindrical ,square,spherical and so on. also can be packed as you need. 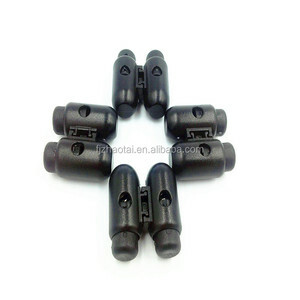 2.High and stable quality of cord rope stopper , competitive price. 3.We keep to design new type cord rope stopper and follow up the latest fashion trends. 4. What size and color you can make9 Any size and color is available, we also can produce as your requirements. we are happy to help and improve our goods and service. colors finish white , black or colorful; dtm or spraying, colorful polyester resin casting spraying or custom-made. shapes cylindrical ,square,spherical and so on. 2.Need someone that can produce what you want and have a custom design printed base on your specification. Please contact us freely,we will be happy to give you a quotation upon receipt of your detailed requirement. Q5:How much the transportation freight will be9 A:The freight depends on the weight&packing size and your area. 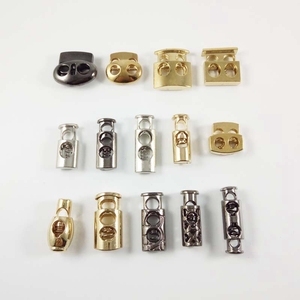 Shanghai NiuNiu Clothing Accessories Co., Ltd.
c) any request from the clients would be treated carefully by our experienced staff, the quality of any order would be highly controlled by our skilled engineers. b) our core business is to help the overseas clients to get high quality products with fair price in china. 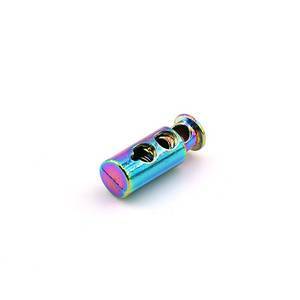 Alibaba.com offers 2,464 garment accessories stopper products. About 72% of these are stopper, 1% are wine stoppers, and 1% are bar accessories. 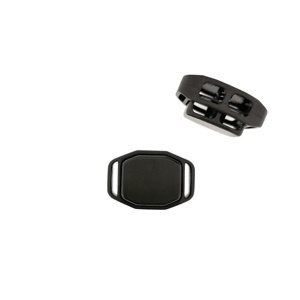 A wide variety of garment accessories stopper options are available to you, such as plastic, metal. You can also choose from plating, painted. As well as from cord end, cord lock. 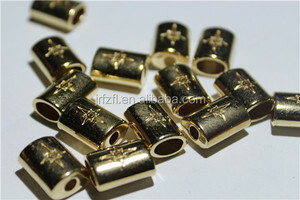 And whether garment accessories stopper is free samples, or paid samples. 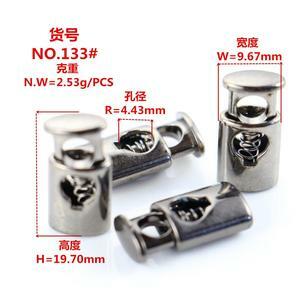 There are 2,375 garment accessories stopper suppliers, mainly located in Asia. 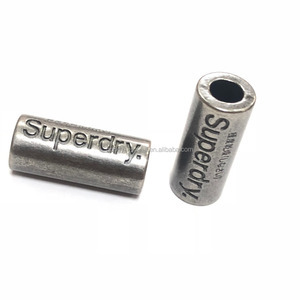 The top supplying countries are China (Mainland), Hong Kong, and Taiwan, which supply 98%, 1%, and 1% of garment accessories stopper respectively. 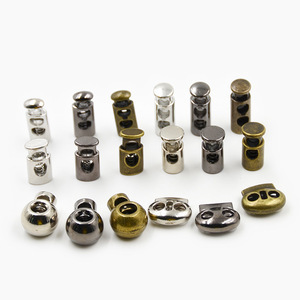 Garment accessories stopper products are most popular in North America, Western Europe, and Domestic Market. You can ensure product safety by selecting from certified suppliers, including 354 with ISO9001, 148 with Other, and 33 with BSCI certification.